Where to Buy Esplanade 200 SC, Esplanade 200 SC Herbicide Indaziflam - Qt - 2.5 Gal - $378.95 for Sale with Fast Free Shipping! Esplanade 200 SC Herbicide Indaziflam - Qt - 2.5 Gal provides effective, long-lasting weed control that developed for the industrial vegetation management industry. By buying this product & leave product review you can collect normally 327 reward points as a voucher of $32.70(1%). 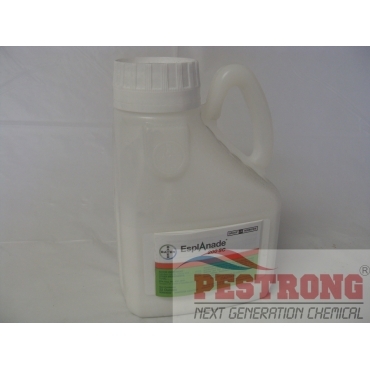 Spectre 2 SC Insecticide Generic Phantom -.. It is ideal for use around Non-Residential Non-Crop Areas, Railroad and Rail Yards, Managed Roadsides, Fence Rows, Utilities, Hardscapes, Industrial, Municipal, and Government Sites. Do not use on residential lawns, golf courses, sod farms, or production and landscape ornamentals. I heard a lot of good things about this. Gonna give it a try. I use this every early spring and mid fall and I never ever have to worry about weeds breaking out. Weed control is so easy because this product. I'm buying more. Too good to not use. Excellent stuff. Very powerful and very consistent in its effectiveness. I buy this all the time. Best place to buy. Simply the best preemergent I've ever used. Nothing beats the effectiveness and longevity of this product. I am satisfied with this product. Also this is easy to apply. This product is simply economy way for weed control.